It’s almost time to celebrate the new year, and I am so ready for a fresh start. Before that, however, I am going to go over the best from 2017, starting with a limited edition beauty box. 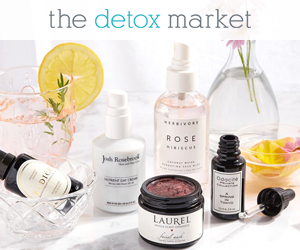 The Detox Market has created their own way to celebrate their customers’ yearly favorites by putting together a box of best-selling products at a seriously discounted price. This may be my favorite one of their boxes so far, because a few products were already on my approved/loved list. There were also some products that I had not tried yet, and wanted to at some point anyway. I have already used most of the shampoo/conditioner (the moment I smelled it, it won me over again), I am using the toothpaste, testing the deodorant, enjoying the face mist (I didn’t remember how good it was), and (MOM DON’T READ THIS PLEASE) I am going to gift the matcha cleanser to my tea lover-mother in law because I still have plenty of product left in my jar. The box contains a total of nine products, mostly in their full-size. With a powder-to-foam texture, this (super gentle, despite the foaming), sweet-smelling cleanser works best for morning/second cleanse. It comes in a rather generous size since you need a little less than a scoop of powder mixed with a few drops of water to cleanse your entire face properly. I use it a couple of times a week for a deeper cleanse. I genuinely forgot how much I liked this hydrating face mist, and I have been using it everyday ever since I opened the box. I love how fine the mist is and how it makes my skin feel truly hydrated. 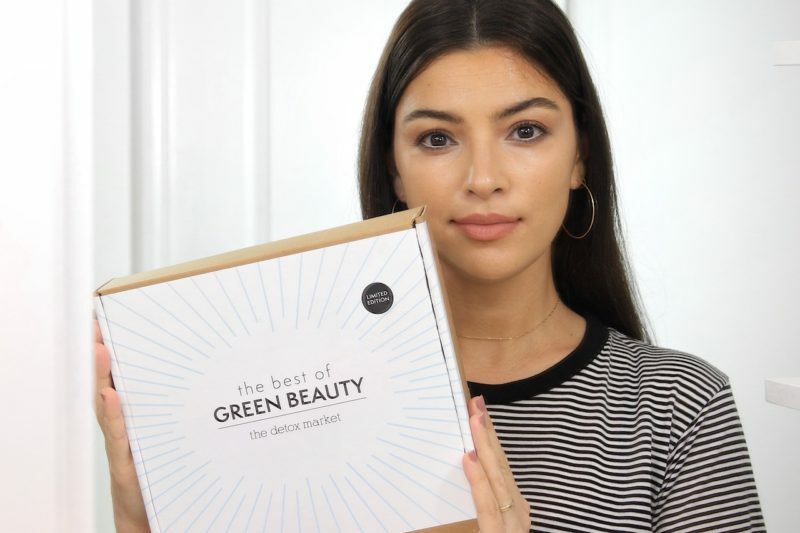 It contains many soothing, antioxidant-rich ingredients (including a few favorites of mine like green tea, calendula, chamomile), not to mention, the full-size costs $35 (significantly less expensive than most face mists in the same category)–I am definitely repurchasing this when I run out. An old favorite of mine. It’s one of the few moisturizers that makes my skin feel hydrated throughout the day without looking shiny/greasy. Fun fact: MV Skincare is the reason I discovered The Detox Market years ago, when the MV Skincare’s founder told me that the only place I could purchase their products in North America was TDM. I am glad to have a fresh bottle to use in the next few months when it’s going to get colder and my skin is going to need a little more moisture than what my current skincare routine provides. This moisturizer alone retails for $135, which is 15 bucks less than the total price of the box, so if you love this product the box s definitely a great deal for you. I haven’t tried this yet, but I love the concept. It’s a bioactive preparation in a concentrate form that is full of probiotics, prebiotics (a form of fiber which feeds the friendly bacteria in the digestive tract) and various vitamin-rich fruit extracts. It is also super-easy to prepare: you mix one serving with 200 ml of water, and voilà, you got a skin-loving health booster. (Just keep in mind that it does not substitute a healthy diet. Have this AND eat healthy for optimal results). I plan on starting this one soon. It has amazing, verified-buyers reviews. I was surprised to see that they picked this powder eyeliner over one of the newest luminizers, but it was nice to get something different (in previous years they have had the Living Luminizer and the Un-Powder). I like the concept: you wet your brush, swirl it in the powder until you pick up enough pigment and then apply. It applies smoothly, it’s easy to use, and the color is a nice, rich black. I have only used it a couple of times, so I need to play with it a little more, but so far it looks like it may not be for me (hooded eyes beware) as it moves throughout the day. Will keep you posted. I went through a tube or two of this mascara about three years ago. I believe that it is loved by so many people because it’s one of the few “natural” mascaras that adds a bit more volume to the lashes, it holds the curl, and it’s completely vegan (and gluten-free). It’s not my favorite mascara from TDM, but it’s a good mascara and I look forward to using it when I am done testing the Hynt Beauty Nocturne (which I really like). Soapwalla was the very first brand to create a completely natural deodorant cream that was also effective. However, many people realized that they were sensitive to baking soda while using the original formula. The deodorant that comes in this box is the new, baking soda-free, sensitive skin-friendly formula. I have already started to test it and so far it’s working very well. It has a pleasant, fresh lavender scent. Keep in mind, however, that it may stain light-colored tops–particularly whites. This is a travel-size duo of shampoo and conditioner, in the Rahua original formula. It’s a good formula for most hair types (I prefer the volumizing Rahua shampoo+conditioner because I have fine hair, but these work well, too). I love how these smell so so much (I love anise and anything similar) and I am enjoying this throwback to the old good days when I started using Rahua Beauty (my very first natural hair favorite). I like this toothpaste because it makes my mouth feel great–fresh, clean, and minty. It foams slightly but it does not contain SLS and it does not contain fluoride either, so it does not make my mouth feel stripped (I tend to develop mouth ulcers if I use more harsh toothpaste formulas, especially those that contains SLS). The total product value is $310+ and the box costs $149. Pretty sweet, right? I hope that I helped you to get a closer feel and see what to expect if you choose to get it. If you have any specific questions, please leave a comment below and I’ll reply asap. You can check out the box at The Detox Market here, and make sure to stop by my Instagram page because I might have a box to gift to one of you! *wink wink*.